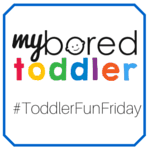 Thank you so much to everyone who participated in the very first Toddler Fun Friday. I really appreciated the support and loved seeing all your great toddler activities. With Easter around the corner I’m sure there will be many toddler Easter crafts and activities being shared this week, but feel free to share any fun toddler activity. You’re welcome to share up to 3 posts each week. 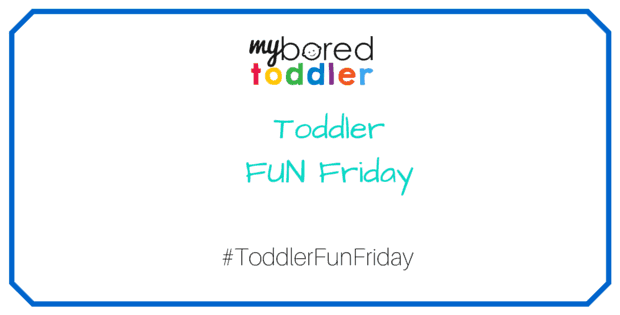 I will pin all of the posts each week to the #ToddlerFunFriday Pinterest board so be sure to follow us if you haven’t already. This week I am sharing my Easter Ideas for Toddlers post, along with an old post about using play dough, spaghetti and cheerios for a great fine motor activity. Each week I will choose my 3 favorite activities from the previous week. 1. Baby Chick Texture Art from Sand in My Toes I really love this activity. It’s so creative and such a great use of everyday materials to create a sensory art activity. So cute too! 2. 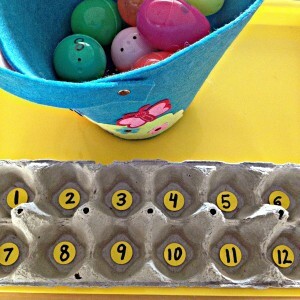 Counting Activities with Plastic Easter Eggs from Spark and Spook I have seen these plastic Easter eggs in almost every store I’ve been in lately, so it was great to have some fun and educational activities to do with them. I actually made one of these this week and my daughter spent a long time playing with it. It is great for number recognition. 3. 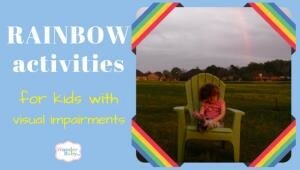 Rainbow Activities for Kids with Visual Impairments by Wonderbaby I love that Wonderbaby has focused on the tactile needs of children with visual impairments and has created some excellent activities. The best thing about these rainbow activities is that they are so inclusive – any toddler can make them and still have a lot of fun. Please share your toddler activities (up to 3) for this weeks linky. Before joining in, please read over the rules of the Toddler Fun Friday link up here. It would be appreciated if you could display our badge on your post and follow us on Facebook, Twitter or Pinterest. If you tweet to @myboredtoddler I will retweet. Please comment/like/share or pin at least 2 other posts. Thanks! 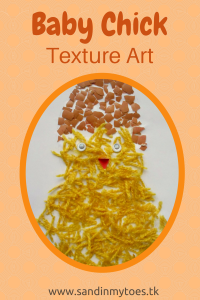 Thank you for featuring our Baby Chick craft! No problem – it’s a great activity!